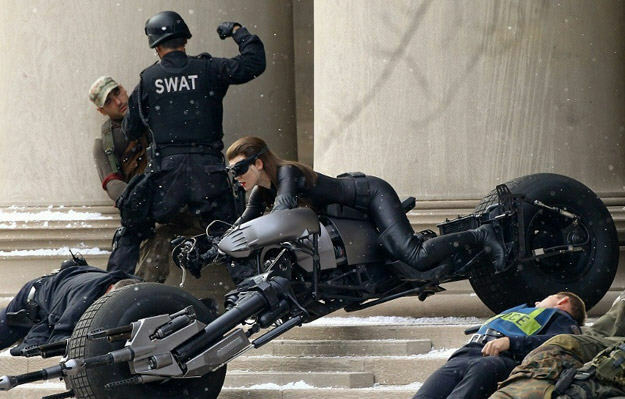 After the previous release of the first official photo of Anne Hathaway as Selina Kyle (Catwoman), there are now photos of her stunt double filming on set. The Dark Knight Rises stars Christian Bale and Tom Hardy and is set for release on July 20th, 2012. 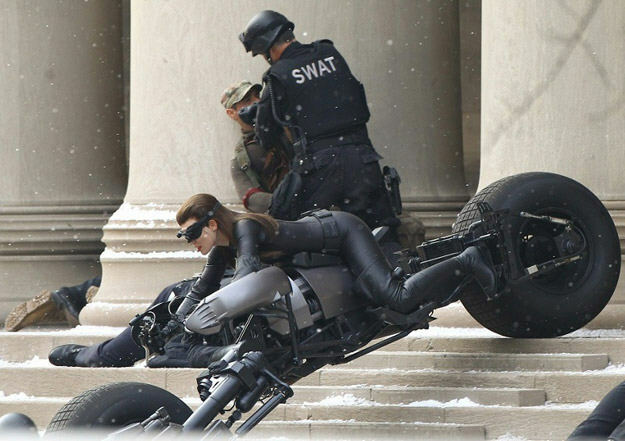 Comments for Photos of Anne Hathaway Stunt Double on “The Dark Knight Rises” Set are now closed.